AAS Member Jill Lepore will engage Jim Moran, the Society’s vice president for programs and outreach, in a wide-ranging conversation about the role of history in our civic life, educational systems, and public discourses. This conversation will also address the canon of Lepore’s work, including her most recent book, These Truths: A History of the United States, which was a New York Times Bestseller when published last fall. 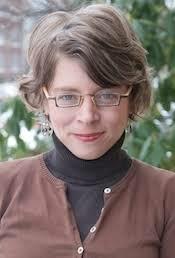 Jill Lepore is the David Woods Kemper ’41 Professor of American History at Harvard University and a bestselling author of eleven books. She is also a staff writer at The New Yorker magazine, where she writes about American history, law, literature, and politics. Her books include The Secret History of Wonder Woman (Knopf, 2014), which was a national bestseller and winner of the 2015 American History Book Prize; The Mansion of Happiness: A History of Life and Death (Knopf, 2012), a finalist for the Carnegie Medal for Excellence in Nonfiction; New York Burning: Liberty, Slavery, and Conspiracy in Eighteenth-Century Manhattan (Knopf, 2005), winner of the Anisfield-Wolf Award for the best nonfiction book on race and a finalist for the Pulitzer Prize; Book of Ages: The Life and Opinions of Jane Franklin (Knopf, 2013), Time magazine's Best Nonfiction Book of the Year, winner of the Mark Lynton History Prize, and a finalist for the 2013 National Book Award for Nonfiction; and her first book, The Name of War: King Philip's War and the Origins of American Identity (Knopf, 1998), which won the Bancroft Prize, the Ralph Waldo Emerson Award, and the Berkshire Prize. Her next book, This America: The Case for the Nation, is forthcoming from Norton this May. She was elected a member of AAS in October 1998.